There are many stamped concrete sealers to choose from. 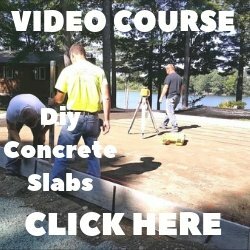 Which one will work best for your stamped concrete is what I'll help you figure out. 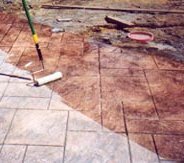 Sealing stamped concrete is a very important step to maintaining its durability and beautiful appearance. If the concrete is sealed correctly, it will help protect the stamped concrete from damaging water, chemicals, stains, oil, and freeze/thaw cycles in colder climates. There are two basic types of stamped sealers, one is a penetrating sealer the other is a film forming sealer. A penetrating sealer does actually penetrate the surface and react chemically with the concrete to protect against moisture and deicing salts. It fills the micro and macro spaces, solidifying the entire substrate into one solid mass. Use a penetrating stamped concrete sealer for outside and inside stamped concrete where a matte finish is desired. If you don't want a wet, shiny look this is the sealer to choose. Film forming sealers do just what their name implies, they form a protective film over the surface of the concrete. Film formers are the most popular choice for decorative stamped concrete because they enhance the colors in the concrete and leave a gloss or sheen look to the concrete. Urethane film forming sealers go on about twice as thick as the acrylic sealer and provides excellent protection against chemicals and abrasives. They bond very well to concrete and are generally used for interior applications. They are less UV resistant and may yellow if exposed to the sun. Epoxies are great sealers for high traffic areas and very easy to maintain. 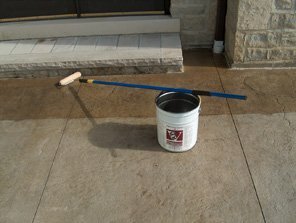 Before installing any sealers to stamped concrete make sure the surface is completely dry and clean from dirt, dust, oil, and grease. There are many good brand name stamped concrete sealers on the market. Knowing these basics will help you choose the right one for your application. 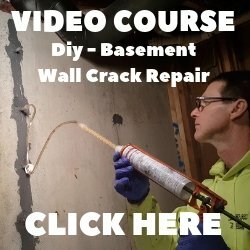 For more information and to learn how to correct sealer problems click on CONCRETE SEALER.